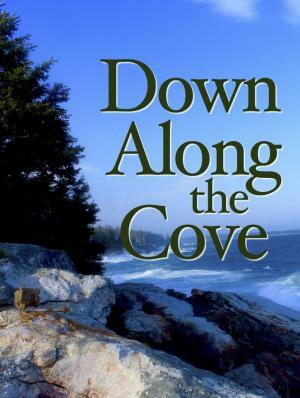 After three readings and several years of creative development, Heartwood presents our original work, Down Along the Cove. 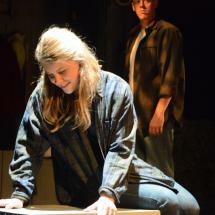 This full length play is set in Midcoast Maine (late 1980's to early 2000's). Fifteen vignettes focus on key moments in the lives of Cy, Margaret, Emma, Clifton, Roger, Elaine, and Dewey, residents of a fictitious coastal town. Seven actors create nearly 20 characters whose human stories unfold within the midcoast landscape. Braley calls Down Along the Cove, “... an ode to our small towns, a look at grace in small moments, a call to recollect and cherish.” The play works through and beyond stereotypes, allowing audiences, for an evening, to rest their gaze and reflect on these few representational lives. A professional ensemble workshopped this new play for three weeks and performed for a small invitational audience in April. The ensemble returns in June, to produce a full summer production open to the public.